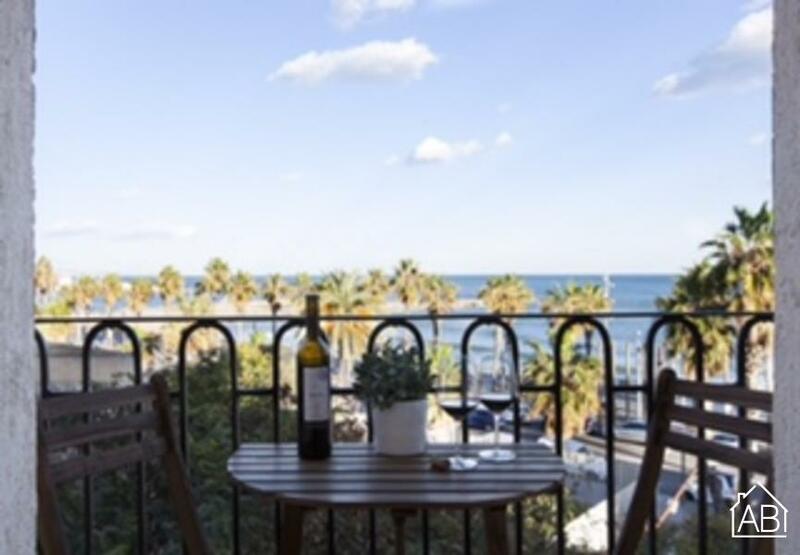 This recently renovated Barceloneta apartment has a fabulous location, right on the seafront. It is perfect for those looking to stay right by the beach. You can even have breakfast overlooking the Mediterranean every day. The neighbourhood of this bright apartment is packed full of fantastic bars, restaurants and cafés, as well as plenty of supermarkets. You can reach downtown Barcelona on foot in around 10-15 minutes, and there are great public transport connections to the rest of the city. Complete with 2 bedrooms and 1 bathroom, this modern apartment has all the amenities you need to feel comfortable and at home during your time in Barcelona. It comes complete with a flat screen TV, WiFi connection and a washing machine. It is fully air-conditioned, ideal for the warmer summer months.